This Transitional / Rustic Casual Dining set by Lifestyle Furniture features a Brown Rustic table top with Antique White legs and X back upholstered side chairs. The group has a matching server and dining bench that is also available. This set will look great in many different designed homes! 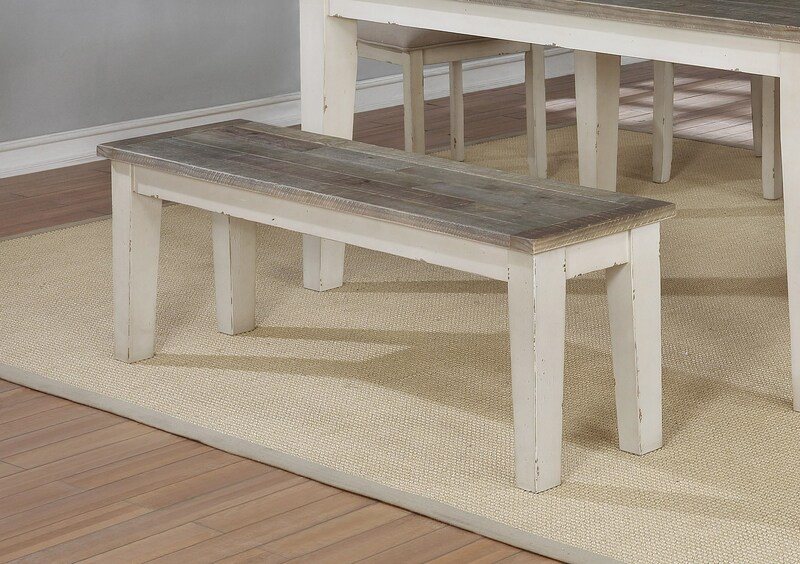 The C1855Dwht-brn Dining Bench by Lifestyle at Furniture Fair - North Carolina in the Jacksonville, Greenville, Goldsboro, New Bern, Rocky Mount, Wilmington NC area. Product availability may vary. Contact us for the most current availability on this product. This Transitional / Rustic Casual Dining set features a Brown Rustic table top with Antique White legs and X back upholstered side chairs. The C1855Dwht-brn collection is a great option if you are looking for Casual furniture in the Jacksonville, Greenville, Goldsboro, New Bern, Rocky Mount, Wilmington NC area. Browse other items in the C1855Dwht-brn collection from Furniture Fair - North Carolina in the Jacksonville, Greenville, Goldsboro, New Bern, Rocky Mount, Wilmington NC area.